March 15, 2007: Party cloudy and windy, Water temp 54* and clear. Got on the water a 4am this morning to catch Herring and picked clients up at the dock at o dark 30. With today being pre-frontal of this big storm and knowing the temps were going to crash I set up in an area nearby where I caught fish yesterday but was deeper by 6 to 8 feet. Set out boards and pulled up to the first primary point and had two hits, turned back and went over the same point with no hits. I made 4 passes on the point and caught fish only pulling into the wind, not with the wind. Hit some other flats nearby but the fish only wanted to feed today on points. After 10 am the fish turned off just like the previous two days. 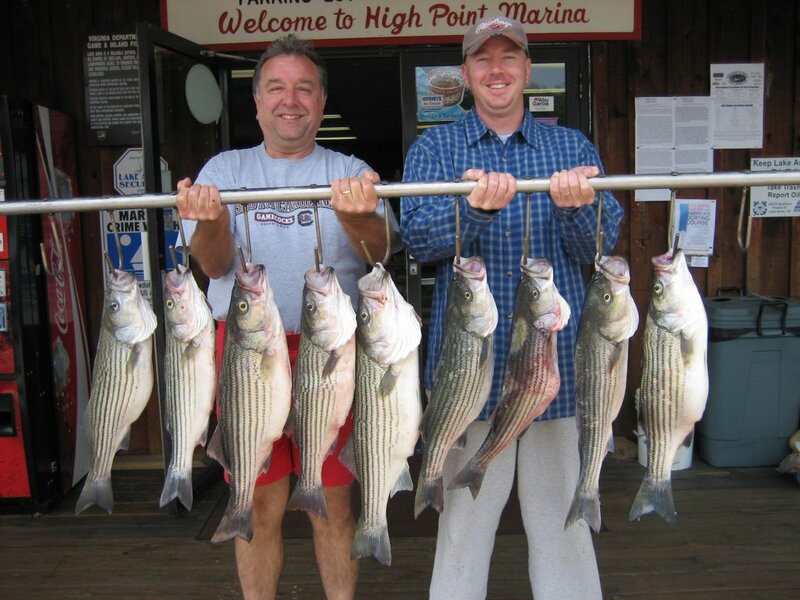 After fishing hard in the wind we ended up getting 16 hits, clients keeping 9 Stripers, a Cat and a Crappie.